As an ISO9001: 2015 accredited insulation manufacturing facility, Elmelin’s processes and knowledge comes from years of experience. Many of our manufacturing processes are bespoke to us, using unique machinery. We train our employees in a diverse range of processes to meet our goal of ensuring they have a firm but flexible knowledge-base and an advanced understanding of mica processing in all its forms. At the same time, health and safety is a priority and it forms the backbone of how we deliver our products to you. Every process we undertake has a standard operating procedure with robust critical safety procedures. Manufacturing of specialist insulation products is at the core of what we do. Elmelin produces and processes industrial insulation materials for numerous applications across different sectors. 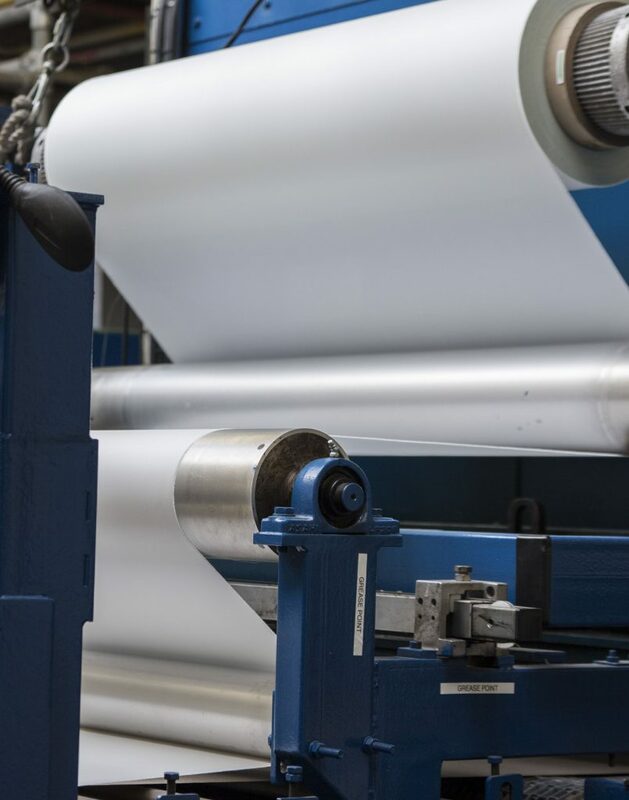 Our mica roll processing facility uses traditional coating methods to manufacture the different types of roll mica We take all environmental considerations into account and we run a large oxidiser to burn off any residual solvents. Our tube rolling section uses bespoke machinery to economically produce different roll sizes and properties. This facility has its own ovens and shaping facilities. This section has various processing facilities, culminating in the bespoke sizing and wrapping of microporous insulation. This section uses different types of mica or microporous products to form shaped mica roll or sheet, shaped Elmtherm products, or a combination of these and other insulation types. We shape using CNC milling, clicker press and expert cutting technologies. 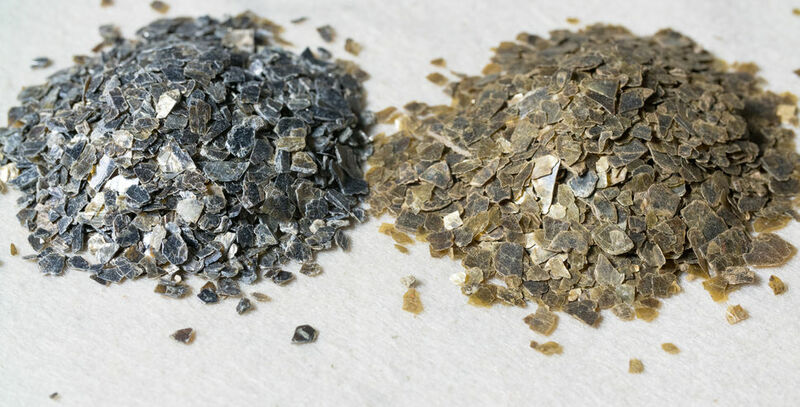 Mica is a chemically complex mineral that is flexible but chemical stable. Its properties as an electrical insulation and heat resistant material make it perfect for many manufactured solutions. Pure mica is a non-reinforced material, with superb slip plane characteristics. It is derived from both phlogopite and muscovite mica minerals. However, to broaden the range of applications we also manufacture mica sheets that we impregnate with resins or with woven glass fibre. These processes then offer a greater range of insulation solutions, maintaining high performance, but with added durability. Glass mica and mica composite materials are super-thin, minimising the insulation space they take up, while maximising their effectiveness. Our Elmelec range of mica laminates come in mica roll form, making them easy to ship, and for you to apply. In addition, we have expanded our product range to develop furnace safety systems. These are our Elmesh and Vapourshield products, developed by combining stainless steel mesh and mica-based laminate materials to perform combined preventative and protective functions. Both act as sensors when applied to furnaces. We manufacture rigid mica sheets in cut rectangular shapes, providing a sound, insulated base for furnace construction, alongside other installed insulation. We also produce flexible mica sheets for diverse manufacturing solutions. Widening our capabilities, and what we can offer our customers, we now also specialise in high temperature insulation products using innovative separation technology. This is our Elmtherm range of lightweight insulation sheets, based on microporous membranes and their heat conductive qualities. We have also combined these porous materials with mica to produce a premium heat-shielding product range. The benefits of using Elmtherm in furnaces are cost-effectiveness combined with thermal efficiency and a reduced carbon footprint. Supporting various industries and product innovators, we specialise in making mica machined shapes and mica components. Recognising mica’s versatility, we provide tooling and other manufactured parts that are essential to both safe working and insulating everyday appliances. In this, we offer specialised support to manufacturers, enhancing and improving a wide variety of products, by applying our own manufacturing solutions that draw on mica’s natural properties. Our capabilities include CNC machining, and producing parts to order, to ISO 90001 standards. Elmelin has built up a formidable resource of skilled, dedicated staff. Consequently, we are fully confident we can meet whatever specific, specialised requirements you have. Our manufacturing capabilities extend to diligent quality testing and practical prototyping in a full manufacturing environment. What is the Solution You Are Looking For? We work closely with businesses and organisations representing a range of industries, from foundries, automotive and aerospace to petrochemical and other continuous process industries. We supply military and transport with our insulation materials, and provide bedrock manufacturing support to power electronics. Talk to us today about how we can use our specialist manufacturing capabilities to help you.